Our top articles of 2016! Happy New Year!!!!!! We are wishing you all a very happy and healthy new year. Hopefully with lots of good movies and series ;). To start the new year with, we'll show the most viewed articles of 2016! Later on in the first week of this month, we'll also share the movies we watched in December with you and talk about our plans for 2017. For now, let's look back at the most popular posts! In 2016 we all looked forward to the Gilmore Girls revival. How would Lorelei and Rory been doing? I re-watched season 1 and watched the 4 new episodes as soon as they were available on Netflix. Quickly after that, I wrote down my thoughts about these new episodes. This article turned out to be our most viewed post in 2016! When I wrote the post I posted in social media and added it as a review of these episodes to Imdb. That gave a lot of traffic as well. For net year I'll try to follow the new things that are being released more and write about it as soon as possible! On the second place, there our In the Spotlight about Norman Reedus. I know many of our readers love the Walking Dead. And Since Norman Reedus plays the most popular character: Daryl, it's not a big surprise that many people have read this article. 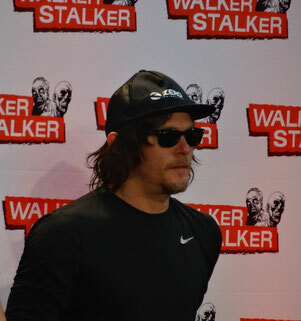 We were lucky enough to have seen Norman Reedus at Walker Stalker Convention in London. Since we were only one day at the convention, I chose not get an autograph. It would have been awesome of course. But that also would have meant just queuing the entire day and not being able to do anything else. We have seen parts of his &Andrew Lincoln's Q&A though. There, we could make some pictures. Hopefully we'll see him again at a convention some time.. If you want to read about Norman Reedus, just check out the post we made about him! Maybe we can do a more extended article in 2017! Our article about meeting Lance Henriksen is our third most read post. We already talked about this in our post about looking back on the actors we've met in 2016. Lance is an American actor. He mainly plays in science fiction, action and horror movies. - The Terminator. Yes, he also plays a role in Terminator! He's Detective Hal Vukovich. Remember him? We already wrote reviews about 2 movies that are starring Lance Henriksen: House 3 and Mansion of the Doomed. 4. Friends Quiz: Who said it! Liv and I love to do and make challenges. We often do challenges ourselves and vlog or blog about it. We also make challenges for you. On the fourth place of 2016, there the Friends challenge! Are you a huge fan of the series? Well, then check out this quiz Liv made for you. You'll get some quotes from friends and then it's up to you! Who said it? Do you know all the answers? Check it out! And like always: If you want to challenge us, or have a request for a challenge: Just let us know in the comments! 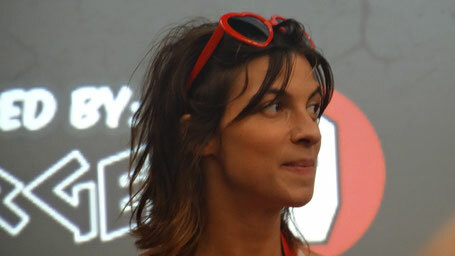 Meting Natalia Tena is our number 5 article! Oh and we loved meeting her! Who doesn't love the spontaneous and happy Natalia Tena? Wow, she really amazed me at Amsterdam Comic Con. And you guys loved to our article about it. Natalia Tena is best known for her roles in the "Harry Potter" movies (Nymphadora Tonks) and for "Game of Thrones" (Osha). It was so great to meet her. As a huge "Harry Potter" fan, it was so great to meet Natalia (and Devon Murray) at Comic Con Amsterdam. Hi, guys. This is a great roundup of the year that was. So the question is, who are you going to have by the end of this new year? That being said, HAPPY NEW YEAR! So I hope to see more of you and let's see if you feature some of the actors/actresses I know. It would be GREAT if you get Supergirl here.